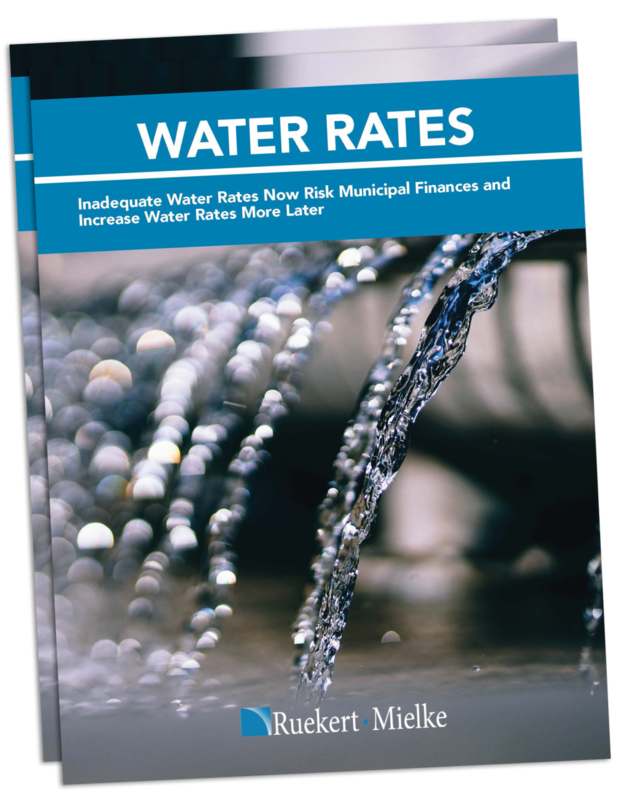 Water Rates eBook — Ruekert & Mielke, Inc. Nationally, water systems need hundreds of billions of dollars of investment in coming years. Locally, delaying infrastructure investment presents a tempting shortcut compared to raising water rates. However, municipal leaders must recognize that shortcuts now will increase infrastructure costs, debt burdens, and water rates in coming decades. Two metrics, operating margin and cash levels, can warn municipal leaders of financial danger. Simple solutions, such as modest proactive rate increases and sensible cash reserve policies, can maintain financial health. These steps will position municipalities to meet unavoidable water and wastewater infrastructure investment challenges.